You are ready to climb out of the mire of less-than meaningful existence and launch on your journey to a fulfilling future! Vicki will serve as your guide through the adventure Discovering your true self- your gifts and your strengths, Dreaming exciting dreams for yourself, Defining your ways to get there, and Developing the skills you need to make your dreams reality. What is the best career for you? What is the best way to get there? Vicki will join you on the journey of Discovering your gifts and strengths, Defining your values and interests, Dreaming about the options that will lead to a fulfilling future career, and Developing the skills and abilities you will need to get there! Vicki is your certified SYMBIS facilitator. She will guide you on the journey through the official Saving Your Marriage Before It Starts assessment and coaching. This is an exciting and empowering adventure for couples! You will Discover more awesome things about each other, identify Dreams for your life together, Define goals to get there, and Develop practical plans and relationship skills for a wonderful lifetime journey! ...for a purpose and must fulfill a life journey of discovering, dreaming, and developing their destiny. Is it time for you to discover your God-given callings, to dream inspiring dreams, to live a meaningful present and hope-filled future, and to develop the skills and courage to fulfill your destiny? I believe it is! Vicki is a CCE Nationally Certified Coach, ICCA Master Certified Christian Life Coach, and a certified SYMBIS Pre-Marital Coach. 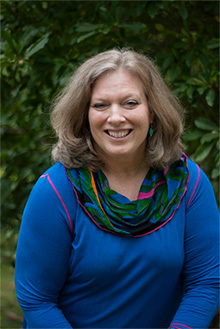 She has been guiding people as a mental health counselor and for over 20 years. She also provides wise guidance and encouraging empowerment for people’s dreams and development in her speaking engagements and resource development.